Nine priests of the Philadelphia Archdiocese have been named monsignors by Pope Francis with the title Chaplain of His Holiness, the archdiocese announced Monday, Nov. 6. Archbishop Charles Chaput received word of the papal honors Nov. 2 from Archbishop Christophe Pierre, apostolic nuncio to the United States. The honors will be conferred during a vespers service with the new monsignors, other priests, bishops and guests on Sunday, Dec. 3 at 4 p.m. in the Cathedral Basilica of SS. Peter and Paul in Philadelphia. 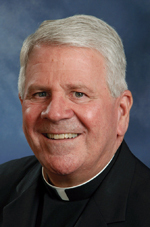 Father Robert C. Vogan, pastor of St. Joseph Parish, Aston. Diocesan priests receive the honorary title in recognition for their many years of distinguished priestly service and as a sign of their communion with the pope and his apostolic ministry. Under new rules set by Pope Francis in 2014, fewer diocesan priests are named monsignor than in previous years, and only those 65 years or older may be named. All the newly honored priests are well respected by their fellow priests of the archdiocese. Father Vogan enjoys the longest tenure of them, at 47 years a priest. All of his primary assignments have been in parish ministry, both in Philadelphia and Delaware County. 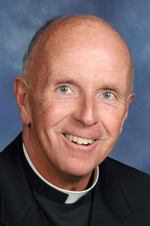 He has led St. Joseph Parish in Aston for the past 21 years. He currently also serves on the Council of Priests, College of Consultors and the priests’ compensation and retirement plan committees. As a sign of the esteem of his fellow priests, Father Vogan was elected by them as the dean for Deanery 2 (Western Delaware County) for five years, and he was a priest mentor in the Pastoral Leadership Institute of the archdiocese. Two members of the ordination class of 1972, Fathers Eckert and McKee, also have spent most of their 45 years in parish ministry, each with short stints as high school chaplains. Father Eckert served as parochial vicar at several parishes experiencing the diversity of parish life, from South Philadelphia and Northeast Philadelphia to central Mongtomery County and Bucks County. In 1994 he was assigned to Holy Trinity, Morrisville, and three years later he was named pastor of the parish where he remains today in a tenure spanning 20 years. His priestly ministry has been marked by a happy and cheerful witness to Christ’s love for his people, who have loved Father Eckert in his parish assignments. 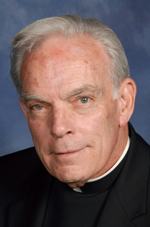 Father McKee’s ministry mostly was served in inner-city ministry including parishes in West Philadelphia (St. Gabriel, the former Our Lady of the Holy Souls and the former Our Lady of Victory) and Kensington (Visitation B.V.M.) before he became pastor of Sacred Heart in Havertown, Delaware County, in 2000. He also served for three years as a mentor in the Pastoral Leadership Institute. 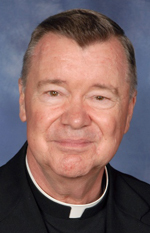 Likewise Father Kaufman, 43 years a priest, served in several Philadelphia parishes including as pastor of St. Richard in South Philadelphia before his current assignment at St. Pius X in 2012. He too has been elected a dean (Deanery 8, South Philadelphia) and has been relied upon as a mentor to seminarians and young priests, and a confidant to older priests. 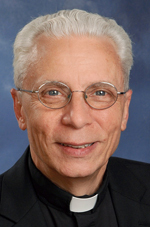 Father Kaufman is well known for ministry to the elderly and the poor in his parish assignments. Two other priest-classmates ordained in 1975 also will share the new papal honor. Father Dunleavy served as parochial vicar in mostly suburban parishes before he was named pastor of St. Anselm in Philadelphia for 13 years. He has served as senior priest at two parishes where his care for people was highly valued, as was his mentorship of young priests. Care for young people and the faithful of urban parishes has marked the ministry of Father Corley. 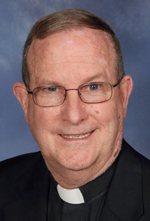 From working in the Office for Youth and Young Adults in the 1980s to stints teaching at Cardinal O’Hara and Hallahan high schools through the ‘90s, Father Corley served since 1998 as pastor of B.V.M. Parish in Darby. 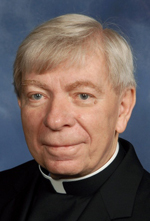 He also currently serves on the College of Consultors and Council of Priests, is dean of the Easter Delaware County Deanery and is re4ctor of Villa St. Joseph, the retirement community in Darby for elderly and infirm priests. Three other priests receiving the papal honors all were ordained together in 1977, now in their 40th year of ministry. Father Citino served at a number of parish assignments before leading several parishes as pastor, handling challenges and ministering with dedication. He has led SS. Peter and Paul in West Chester only for little more than a year but he has a long ministry of service including current positions on the Interparochial Cooperation Commission and the continuing formation committee for priests. He also served as a spiritual director for seminarians. Father Kennedy, in his more than 12 years as pastor of St. Katherine of Siena Parish in Northeast Philadelphia – one of the largest in the city — has rallied parishioners to overcome financial pressures and renovate the church and gymnasium. 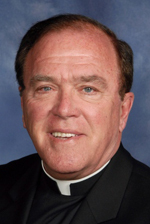 Notably, he spent more than 30 years in the education apostolate with roles including principal and president of Cardinal Dougherty High School, Philadelphia and principal of Archbishop Kennedy High School, Conshohocken. 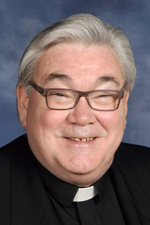 He also currently serves on the Interparochial Cooperation Commission and previously served on the Priest Personnel Board and as regional vicar for Philadelphia-North. From his earliest days in ministry, Father Strausser exhibited a special love for the sick. He paid special attention to the people in hospitals and nursing homes in his parish assignments and in 1985 he was assigned as a full-time Catholic hospital chaplain. In 1996 he began service at a University City parish, St. Agatha-St. James, which had responsibility for serving three major hospitals in the West Philadelphia area. He continues that service today for Children’s Hospital of Philadelphia, the Hospital of the University of Pennsylvania and Penn Presbyterian Medical Center, while residing at St. Francis de Sales Parish. “Father George” is known to thousands of patients and their families each year to whom he offers healing in sickness and comfort in sorrow. Congratulations to Msgr. Eckert!!!! I am so happy for you!!!! I am truly honored that you performed my wedding ceremony way back when at the Epiphany! !!! !